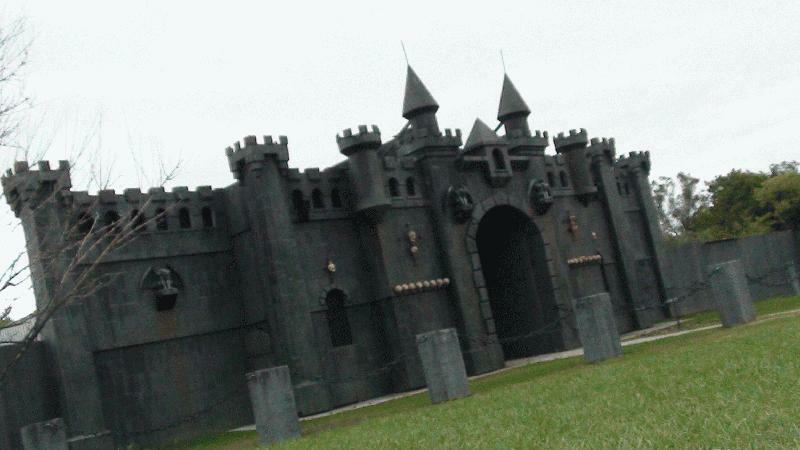 Scary Acres opened its gates in 2002. 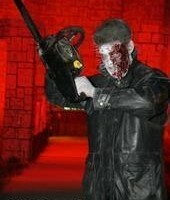 However its history in Omaha goes way back to the year 1993 and began with the Train of Terror at Peony Park on Cass St. 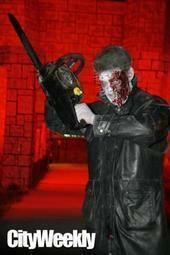 The Scary Acres Management team was commissioned to run a Halloween Attraction within the Peony Amusement Park. The Train of Terror circled the park amidst fog and spider webs. Monsters were hiding in the dark along the entire trail and in the tunnel ready to frighten unaware train passengers. Scary props were situated in concession booths and near the few rides that were open that fall. However that was the last year that Peony Park was in operation. 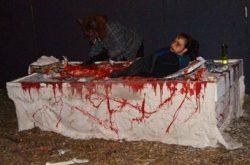 And then… “Fright Zone”, a state of the art haunt in Millard Plaza was born. A closed down health club was turned into a frightening adventure in Omaha showcasing such things as: live snakes in a crawl through tunnel, an indoor “outdoor graveyard”, and a killer clown hallway. During this time the Scary Acres management team began building their own animatronics that they showcased at various tradeshows and sold to other haunts around the country. 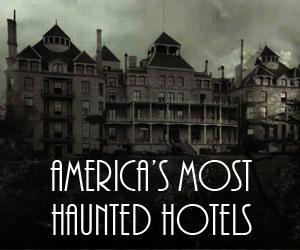 They were also involved in building haunts for other hauntrepreneurs in and out of Nebraska. In 1996 “Fright Zone” was moved downtown into an abandoned 9-unit apt complex at 17th & California. It took months to reconstruct the 9-unit apt complex into a multi-level terrifying attraction. Patrons would enter the building and see half of the attraction and then be led outside through the outdoor fog filled graveyard in the middle of the attraction. The musty odors and the dim lighting contributed to the overall ambience of the building. Workers swear that the building was actually haunted which made Fright Zone as terrifying in the daylight as it was in the evening and brought the scares to another dimension. The warehouse next door to Fright Zone was acquired and turned into “Fear Factory” which was a massive one level haunt that centered around an alley and had killer clown rooms and much more. But then Omaha’s growth gave way to the sale of “Fright Zone”, which was replaced with the Creighton University Soccer Field. Master’s Castle, House on the Hill and Haunted Woods. 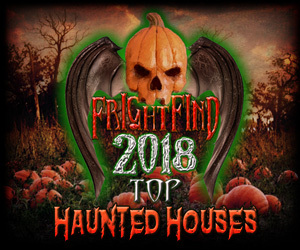 “Scary Acres” continues to attract repeat visitors each year due to the numerous room changes that are made every single year providing new scares and upgrades. 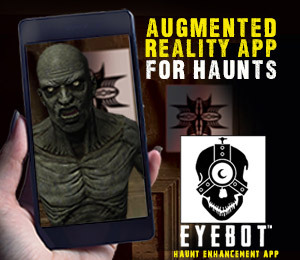 “Scary Acres” has a full surveillance system, monitored 24 hours a day and nightly security to continue to keep Scary Acres a safe place to bring your family. 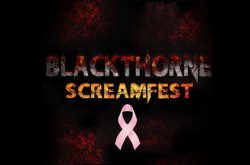 A full food concession and fire pits are available at no charge to keep you warm in the fall and to make this a top Halloween “Must See”!